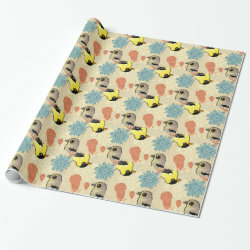 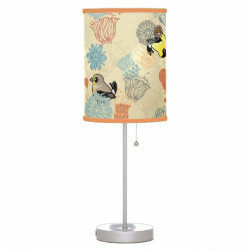 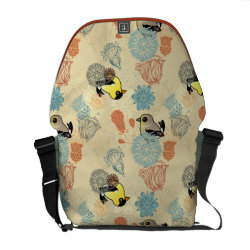 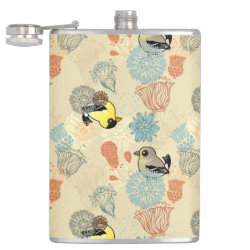 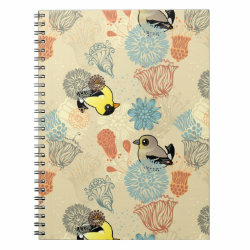 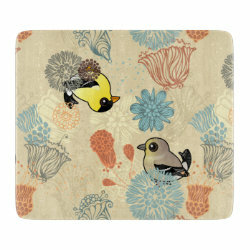 This cute pattern design features a pair of American Goldfinches illustrated in our unique, exaggerated style. 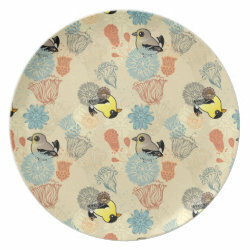 The birds are part of a repeating pattern of grunge-style shabby chic floral. 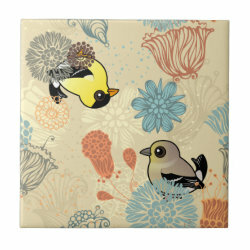 The male and female birds are facing in opposite directions. 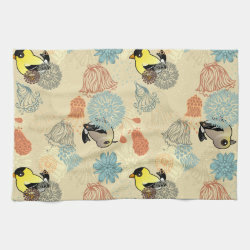 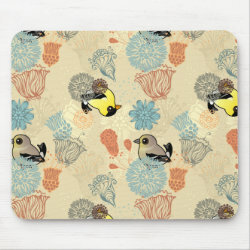 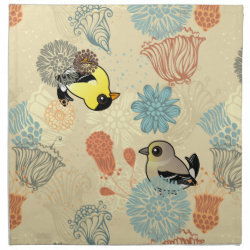 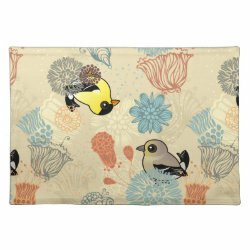 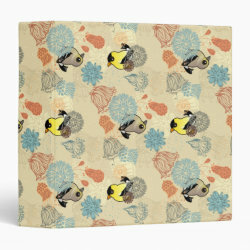 American Goldfinch Grunge Floral Kitchen Towel 16" x 24"
American Goldfinch Grunge Floral Avery Signature Binder 8.5x11"
American Goldfinch Grunge Floral Fleece Blanket, 30"x40"
American Goldfinch Grunge Floral Decorative Glass Cutting Board 7.5" x 6.5"
American Goldfinch Grunge Floral Cloth Napkins (set of 4) dinner 20" x 20"